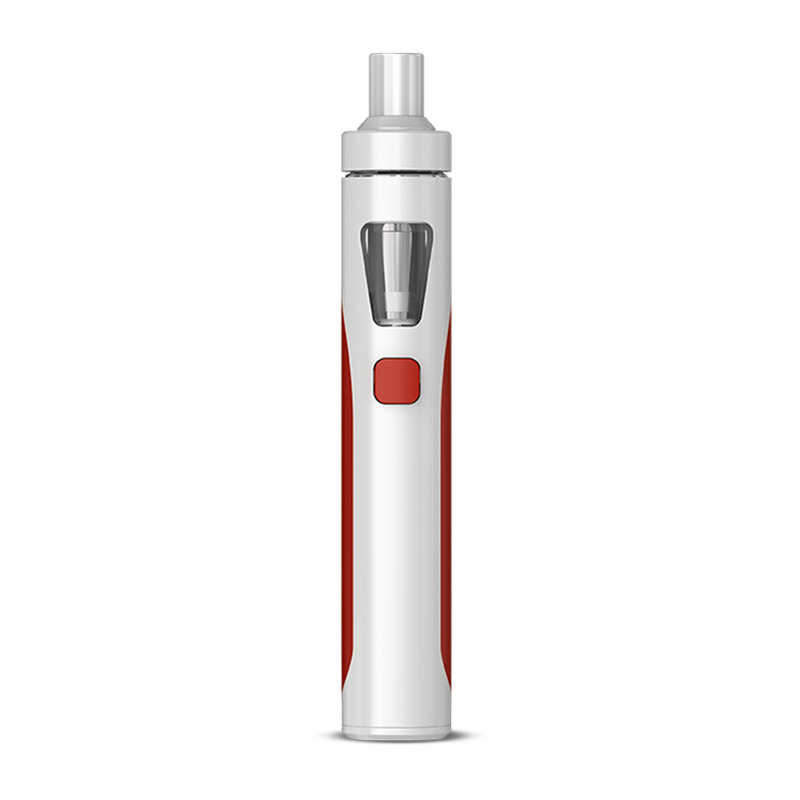 Joyetech eGo AIO Starter Kit Instructions & Troubleshooting : The Electric Tobacconist Ltd.
Having problems with your Joyetech eGo AIO, or just wondering how to get started? For general troubleshooting, read our article on Starter Kit Troubleshooting. Before using your Joyetech AIO for the first time, make sure the battery is fully charged. Connect your AIO Kit to a computer using the USB charging cable included in the pack; you'll know when it's charged as the button light will go out. To fill your tank, press down on the cap and twist to unscrew the top cap. Drip your e-liquid directly into the tank, making sure not to fill above the max fill line (2ml). If you fill your tank above this line, you'll find that the tank overflows when you try to replace the top cap and coil. Make sure to prime your coil before screwing the top back on: drip a few drops of e-liquid down the coil so the wicking material is saturated. Let the kit stand for 10-15 minutes before vaping so the e-liquid has enough time to soak into the wick. To vape, turn the device on by pressing the fire button 5 times in quick succession, then hold the button while inhaling on the mouthpiece. The button light on the kit will flash 5 times to indicate that it is on. The AIO is turned off in the same way. Your Joyetech eGo AIO Kit comes with 2 coils. To replace your coil, press down on the cap and twist to unscrew it. The top cap is connected to the coil; simply unscrew the old one and attach a new coil. We recommend changing your coil every 1-3 weeks, depending on usage. If your kit starts producing lower quality or less vapour than before, or the flavour begins to deteriorate, you'll know it's time to change your coil. Replacement coils are sold here; the coils supplied with the kit are 1.5ohm, though you can also buy sub-ohm coils for the AIO, which are designed for use with higher-VG liquids. Twist the ring on the top cap to adjust the airflow. Depending on your preference, you can opt for a more open draw (airflow more open) or a more restricted, cigarette-style draw (airflow more closed). The airflow is at its most open when the two dots on the cap line up; any movement left or right will give you a tighter draw. Check to make sure the coil is sitting centrally. If not positioned correctly, this can cause leaking. If you are taking consecutive long and deep drags, this can, on occasion, draw too much e-liquid into the atomising chamber. When this happens, not all of the e-liquid can be vaporised, meaning that some may come up the central airflow pipe. To clear out any excess e-liquid from within the coil head simply unscrew the top cap and coil, hold a piece of tissue under the coil and blow through the mouthpiece a few times. Make sure that the tank hasn’t been left upside down or horizontally for a long time, as this can cause e-liquid to leak. Ensure that the tank isn't over-filled, as this can put too much pressure on the atomizer/coil as well as allowing liquid to seep into the centre pipe, which will, in turn, come up into your mouth. If your Joyetech AIO battery is not charging, firstly try plugging it into a different USB port or wall socket. If this doesn't work, try a different charger, but make sure you are using a Joyetech AIO USB cable. If you have a spare kit, try charging the spare to rule out a faulty charger. You can prolong the life of your batteries by not allowing them to fully discharge; a fully discharged battery is harder to charge, and sometimes, usually if it's older than 2-3 months, it will fail to recharge when fully depleted. We recommend replacing your battery when you notice a drop in performance, or you find yourself recharging your battery more often than usual. If your Joyetech eGo AIO Kit is producing a burnt taste, this almost always means the wicking material inside the coil head has burnt due to lack of e-liquid. This happens when you attempt to vape when the tank is empty, or when you don't realise the e-liquid level has run low, or if the coil hasn't been primed (after refilling, drip a couple of drops of e-liquid into the coil, then allow the tank to sit for 10-15 minutes once the coil is in place). If you've burnt your coil, the good news is that you can purchase replacements here.